Regional cancer therapy is an approach to cancer treatment that focuses chemotherapy or radiation therapy in one region or organ. Because regional therapies deliver chemotherapy or radiation to as small an area as possible, the rest of the body is protected from side effects and higher-dosage treatments can be used. For some patients, regional therapy can provide better results than traditional chemotherapy or radiation therapy affecting the whole body. Top specialists: We are experts in the emerging field of regional cancer therapy. Our doctors share their expertise and collaborate as a team to get you the most effective results. Patient-focused care: At Vanderbilt-Ingram, you don’t have one doctor – you have an entire cancer care team. From your surgeons to your medical oncologists to your interventional radiologists – we work together to develop personalized care plans that meet your needs. Specialized technology: New technologies are rapidly improving the effectiveness of regional cancer therapies. These regional therapies usually result in fewer side effects. Your doctor will discuss with you if regional cancer therapies is an appropriate treatment option for you. Regional cancer therapy, also known as regional perfusion, includes several types of treatments: HIPEC (hyperthermic, or heated, intraperitoneal chemotherapy), chemoembolization, radioembolization and tumor ablation. Treatment involves delivering high doses of chemotherapy or radiation to the area affected by cancer. Because treatment is regional, dosages can exceed those that would be used over a larger treatment area. Regional therapy is appropriate for those with advanced cancer that is confined to a single area. The most common area treated is the abdominal cavity, or peritoneum. Regional therapy will not cure most cancers, but it can extend life and improve quality of life. Regional cancer therapy may be given before or after other surgical operations. Often, candidates have already received traditional cancer treatments. Regional cancer therapy is for adult patients age 18 or older. HIPEC (hyperthermic intraperitoneal chemoperfusion). HIPEC is a regional method of chemotherapy. In HIPEC, a surgeon first removes visible tumors, usually in the abdomen. Then, heated chemotherapy is circulated to kill any cancer cells the surgery didnt remove. Heat improves the ability of organs to absorb the chemotherapy. At Vanderbilt-Ingram, we use HIPEC to treat colorectal and appendiceal cancers, some ovarian tumors, and mesothelioma. Read how HIPEC treatment brought relief to a Vanderbilt-Ingram patient. Chemoembolization. Chemoembolization attacks tumors in two ways. First, a surgeon partially blocks the blood vessel feeding a tumor to cut off the tumor's nourishment. Then, chemotherapy drugs are injected or deposited into that blood vessel near the tumor. Chemoembolization can be very effective at aiming chemotherapy at a tumor. At Vanderbilt-Ingram, we use chemoembolization to treat cancers confined to the liver. Radioembolization with Yttrium-90, or Y-90. Radioembolization combines radiation and embolization to treat liver cancer. A surgeon injects tiny beads filled with Y-90, a radioactive substance, into the blood vessel leading to the tumor. Radioembolization stops the blood supply to the tumor and delivers a higher dose of radiation than conventional treatment. Tumor ablation. This technique destroys small tumors but does not remove them. In tumor ablation, the doctor places probes ino the tumors to destroy them with extreme heat or cold. At Vanderbilt-Ingram, we use tumor ablation to treat cancers in the liver, kidney, lung or bone. Vanderbilt-Ingram is a leader in providing regional cancer therapies. Our team includes surgeons, medical oncologists and interventional radiologists from across Vanderbilt-Ingram. Our doctors are experts in this emerging field of treatment. 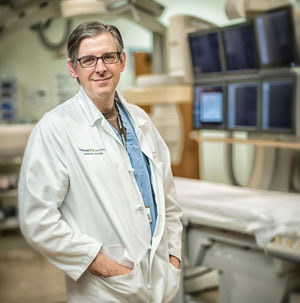 Dan Brown, M.D., is a radiologist focusing on interventional oncology, a specialty that uses imaging to guide minimally invasive cancer treatments. He is an expert in radioembolization, chemoembolization and tumor ablation. He treats liver, kidney, bone and lung cancers. Dr. Brown is a leader in national efforts to research the use of Yttrium-90 on colorectal and other hard-to-treat cancers. He is also a leading expert in advancing cancer care through interventional oncology. Learn more about Dr. Brown's research and experience. 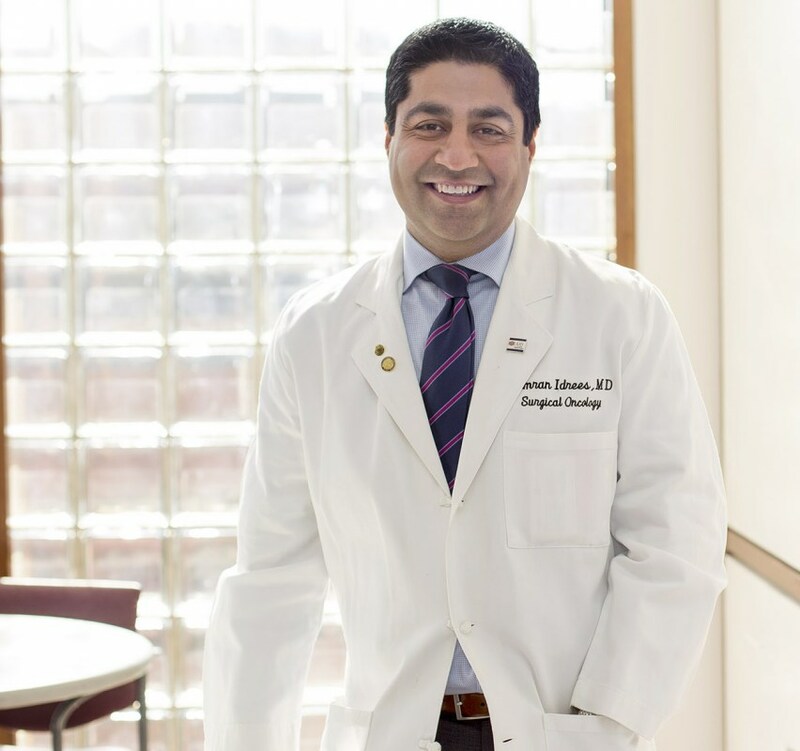 Kamran Idrees, M.D., is a surgical oncologist and Director of the Peritoneal Surface Malignancy/HIPEC Therapy Program at Vanderbilt-Ingram Cancer Center. He focuses on gastrointestinal, liver and pancreaticobiliary malignancies, including colorectal, pancreas, liver, gallbladder and stomach cancer. Dr. Idrees is the only surgeon in Tennessee listed on the membership roll of the American Society of Peritoneal Surface Malignancy. Learn more about Dr. Idrees' research and experience.